Hotel rooms have a lot in common with pork bellies and Louisiana sweet crude: their prices bounce around from day to day, driven by the vagaries of the market. A room that costs $350 on Saturday might be available for $175 on Tuesday. But is that $175 room really a good deal? 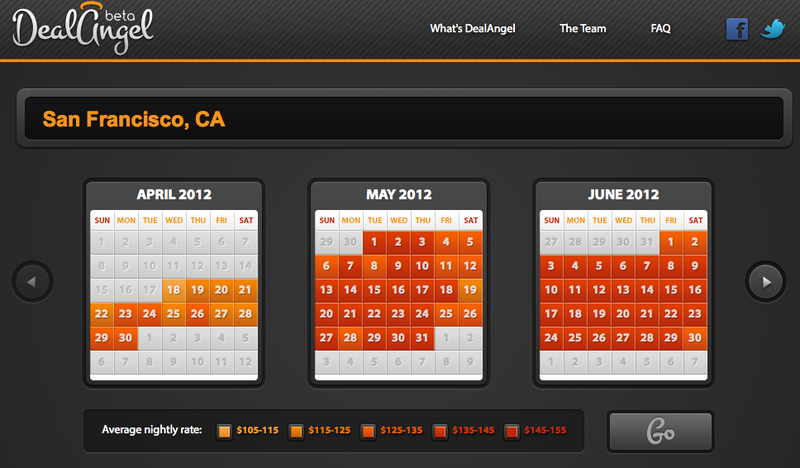 New site DealAngel, launching tonight, aims to let you know. The site examines the pricing history of all the hotels in the area you're planning to visit and analyzes whether that $175 price tag is above or below the typical cost of that room for a Tuesday. 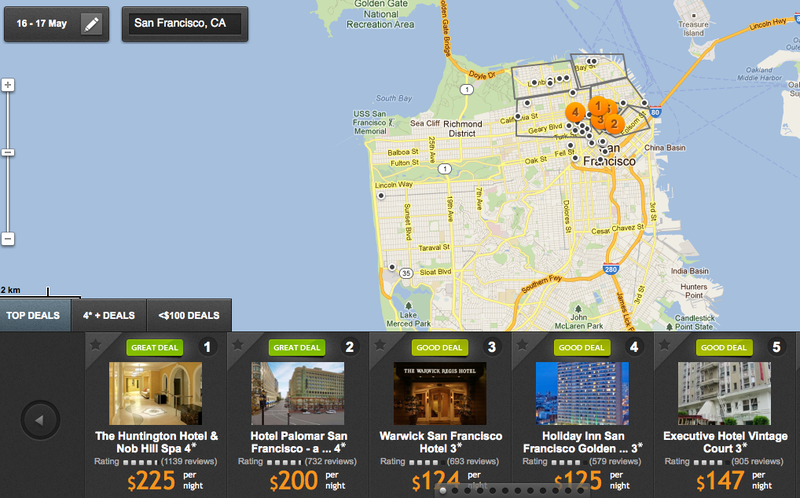 When you search for a hotel on DealAngel, it doesn't arrange your choices by price, but by how good the deals are. DealAngel arranges search results not by the lowest price available, but by the best deal available. DealAngel CEO Roman Peskin explains it this way: Any city's hotel market is like a school of fish; all prices tend to move up or down simultaneously. But there are always one or two fish who miss the turn. Those slipups can create opportunities for consumers: They can spend a night in a 5-star hotel for $100 less than it would normally cost or get a dirt-cheap price at a lower-end motel. If the dates you're looking at are dark red, you've chosen an expensive time to travel. Another nice touch: If you can't find a room you like in your initial search, you can change dates with a handy slider on the results page. DealAngel also shows your choices on a map and lets you narrow the hotels you see to just one neighborhood or to a two-mile radius, say, from a certain address. If you find a deal you like, you don't book the room through DealAngel. It's actually an aggregator of aggregators, rounding up information from sites like Expedia, Hotels.com and hundreds of other travel services. Make your choice and DealAngel routes you to the site that lists the bargain.